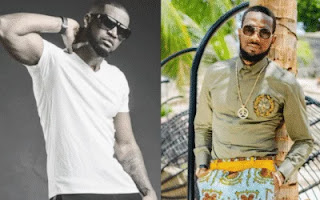 Peter Okoye has taken to Instagram to console few singer, D'Banj who lost his son recently. Earlier today, D'Banj took to Instagram to thank everyone who had extended a hand of support in one way or the other to him and his family since the tragic loss of Daniel Oyebanjo III. Reacting to D'Banj's post, Peter Okoye commented saying: "we love you bro… stay strong… My son is your son. Remain blessed."